Roger Van Ersvelde, an Iowa Soybean Association member from Brooklyn, has to go back to 1988 to remember dry crop conditions like this. 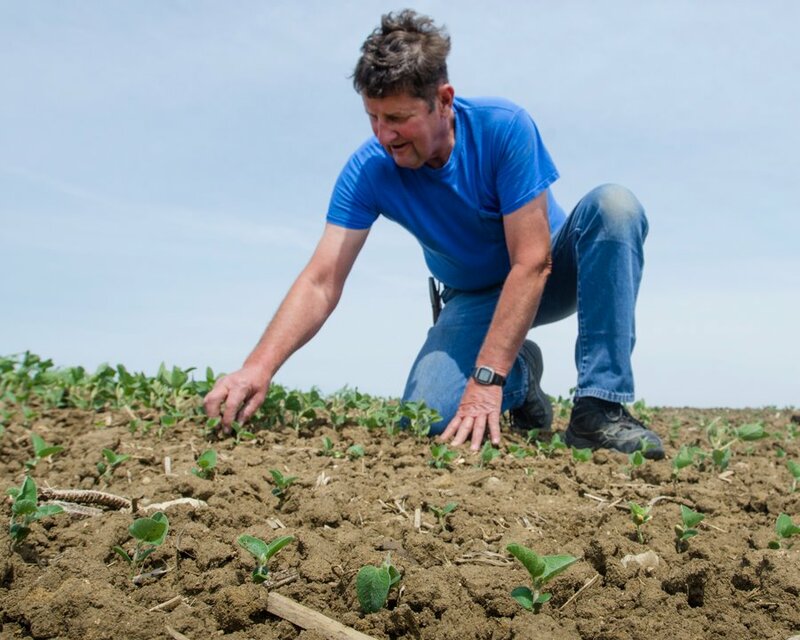 For Van Ersvelde and other Iowa farmers, a lack of rain since early May combined with high winds has left crops suffering. For Van Ersvelde subsoil moisture started out high, but has quickly fallen to the point where his crops are beginning to show signs of stress. He added that he has only received an inch and a quarter of rain in the seven weeks since he finished planting. That is less than half of the amount that he normally receives. Van Ersvelde is hopeful that with current row crop methods they will have better yield results than in 1988.